I am still in love with string art and have my hubby on board with some DIY state string art that will hopefully come out at least resembling the state of Texas. This DIY home string art is a great piece to start with. The cute house is a little kinder shape than most states. Except maybe Wyoming. 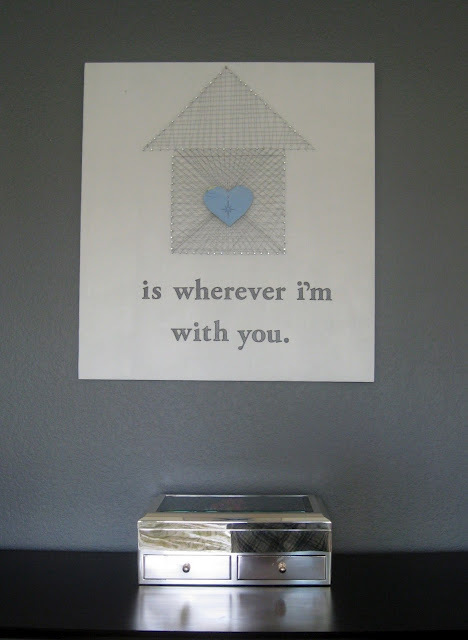 You can check out how April create this fun DIY Home String Art over at Or So She Says.